Developers will be building on our immutable chain, are you ready? Code is law. You can't have the forked blockchain though. So if you already had this software you need to rename Mist and Ethereum in appdata to start fresh and choose no fork. We believe in decentralized, censorship-resistant, permissionless, IMMUTABLE blockchains. We believe in the original vision of Ethereum as a world computer you can't shut down, running irreversible smart contracts. We believe in a strong separation of concerns, where system forks are only possible in order to correct actual platform bugs, not to bail out failed contracts and special interests. We believe in censorship-resistant platform that can be actually trusted - by anyone. Code is law. We fork Ethereum and maintain upstream patches similar to the relation between Redhat and CentOS, until a community can form around the project and create a road map. Until this happens we can fork multiple existing clients to help prevent a monoculture of clients. We plan to follow https://github.com/ethereum development except for any features they introduce into existing clients that violate the key principles of openness, neutrality and immutability. Miners supporting the original chain should just keep mining with current version of software for now, without upgrading to client version introducing the hardfork code. 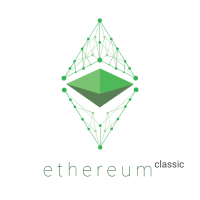 It will be always possible to download and build latest non-fork version from https://github.com/ethereumclassic. Because the difficulty adjusts quickly, it will be also quite possible to solo mine soon after the fork. If you intend to mine Ethereum Classic, please don't upgrade to geth 1.4.10 just yet, due to potential vulnerability. We will inform you when it's safe to upgrade. For now, just solo-mine with geth 1.4.9 or any earlier version, or use Classic pool. Both Poloniex and Bitfinex announced that they will assign their users both ETH and ETHC after the fork. This is a step in the right direction, now it's up to these major exchanges to enable ETH/ETHC trading that will no doubt be demanded by users. Decentralized exchange Bitsquare announced ETHC trading right after the fork. Other trading venues will follow since there is a strong business case. We are in touch with several other exchanges to add ETHC trading to their platforms. If your exchange is interested in ETHC trading, please contact us.